Follow the links below to jump to sections of this page. 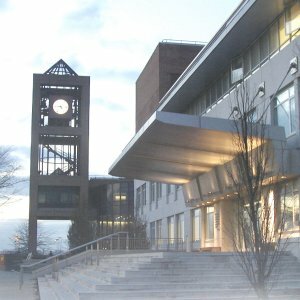 The Chaney-Goodman-Schwerner clock tower beyond Powdermaker Hall, named in honor of the college's distinguished anthropologist, Hortense Powdermaker. The building reopened in 2003 after a five-year renovation.